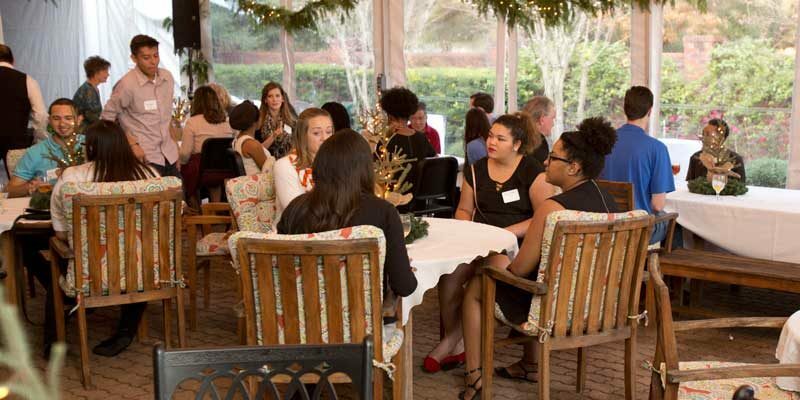 Dr. and Mrs. Sloan, along with the Alumni Board of Directors and staff, hosted a Christmas Commencement Celebration for the 2015 December graduates to welcome them as the newest members of the Alumni Association and to introduce them to their fellow alumni. The HBU Alumni Board of Director’s Chair, Rachel David BA ’09 shared her story of how she would not have been able to attend HBU without being blessed with the scholarships she received. Now as an alumni, she and her husband Erik David BBA ’08, are able to give back to the scholarship fund and encouraged other alumni to join this culture of philanthropy.